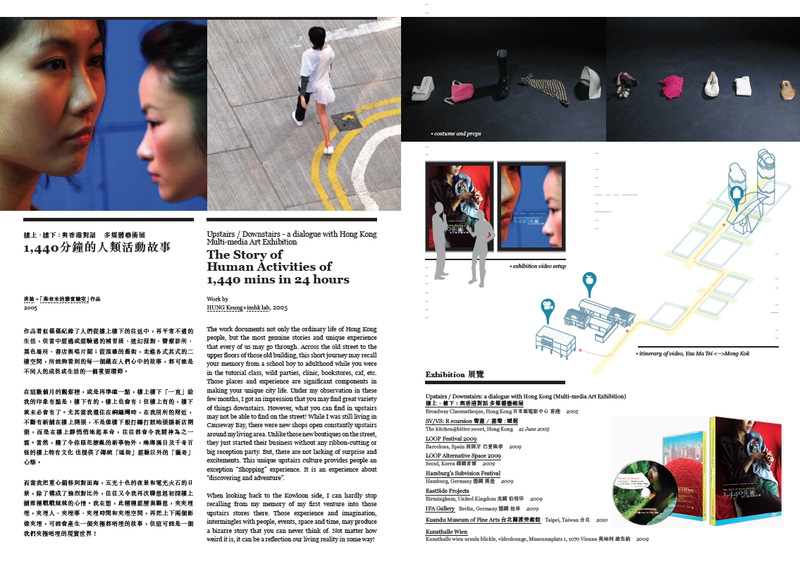 My video works often take place on main roads, however, this time he adopts a contrasting approach and bases the featured work on his experience of wandering the communities of Yau Ma Tei, Tsim Sha Tsui and Mong Kok (The Yau Tsim Mong District). Almost schizoid in nature, the protagonist in the video embodies two identities: She wears six different outfits that represent twelve unique characters, and leads us through the streets in these districts. 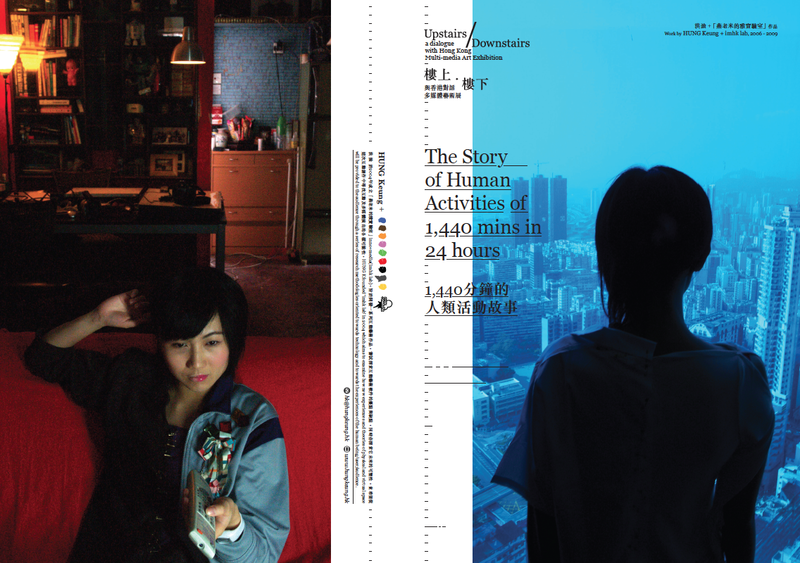 The screen is divided into sections- top, bottom, left and right, acting as four coordinates to the story’s main structure, and as metaphor to the lateral movements on the streets, and the vertical landscape viewed from within the buildings. The fragmented imageries move and stop, at times a mixture of the two, ushering the audience to follow closely the footsteps of the artist; as we appreciate the mingling of old and new in each district, and witness the vicissitudes of the community. 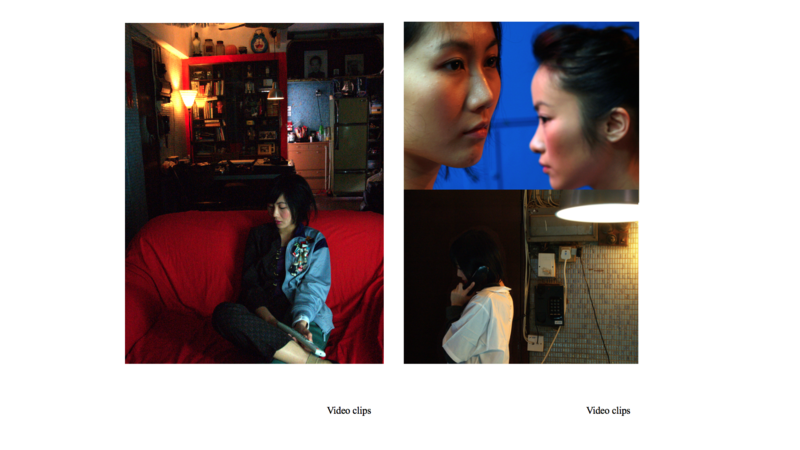 Today, digital technology allows artists to play with the idea of multiple identities because dual and multiple screens can help split identities and simultaneously present them to the viewers for comparison. Therefore, I take one of my experimental digital video installation, ‘Upstairs/ Downstairs’ project to exemplify how the experience of multiple and shifted identities could be visualized through digital technology, in relation to multiple spatial layers that viewers can experience when viewing the video’s different forms of visual representation (i.e., multiple identities & identity transitions; split frames, and motion and stillness). 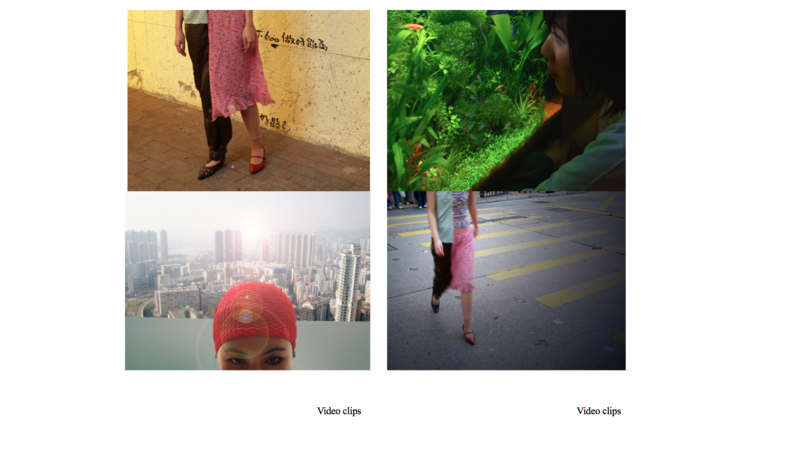 First, in relation to the concept of time, I used the concept of duration to make use of colour difference; I addressed viewers’ sense of motion by initiating colour-transition effects; I examined an illusionary temporal experience through a combination of motion (i.e., moving images) and stillness (i.e., still images). Second, in relation to the concept of space, I presented viewers the opportunity to have illusionary spatial experiences through those fragmentary moving images and still images.